I hate raised garden beds. The reason I hate raised garden beds is because they remind me of the city. When we lived in the city, I had the tiniest area around my house to grow vegetables in. The soil was hard as one big, giant piece of rock and the easiest way to grow anything was to stick a couple of raised beds in the front yard. I am not a city girl. Never was and never will be but I was stuck in that city for years because that’s where I was supposed to be I guess. Every spring I’d go plant my seeds and get so frustrated that I had room for nothing in those two raised beds. I’d try to fit as many things as I could in them and nothing would grow because the spacing just wasn’t right. I kept dreaming of the day when I’d have a whole field to plant in. I kept dreaming of open spaces and fields of vegetables. So you see, raised beds used to just make me mad, they remind me of a time when I was in a place I didn’t want to be in. When I finally gave up and surrendered to the fact that that city was where I was meant to be, a “magical” series of events happened that allowed us to leave and move out to the country (you can read the story here). I finally had the big open space I wanted and I was never going to grow anything in stupid raised beds again. A couple of growing seasons later, with the city far away and my country life somewhat established, I was (one day last summer) looking at this empty small space at the front of my garden and wondering how I could use it best. The idea of building a couple of raised beds came to mind but I shoved it away quickly and angrily. In my head, it was as if I’d be bringing the city to the country and I wasn’t going to do this. I knew I was stupid to think this way, yet it took me a couple of days to slap myself and move on from this silly thought (I am a very slow person…). Raised garden beds have many benefits and I made peace with the fact that I can take advantage of those benefits while I was also gardening in my precious traditional rows. 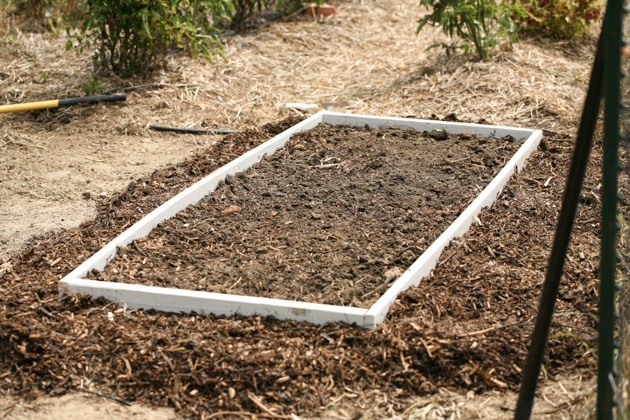 There are a million ways to build raised garden beds but the concept is simple, you build a frame of some sort and fill it with good garden soil and compost so you can plant your vegetables in it. If you have a small, odd-shaped garden space, raised beds might help you take better advantage of the space. In the picture above is one of the garden spaces I had in front of my house when we lived in the city. There was no way for me to plant in rows there and the space was bordering the driveway and the house, so a raised bed made sense. 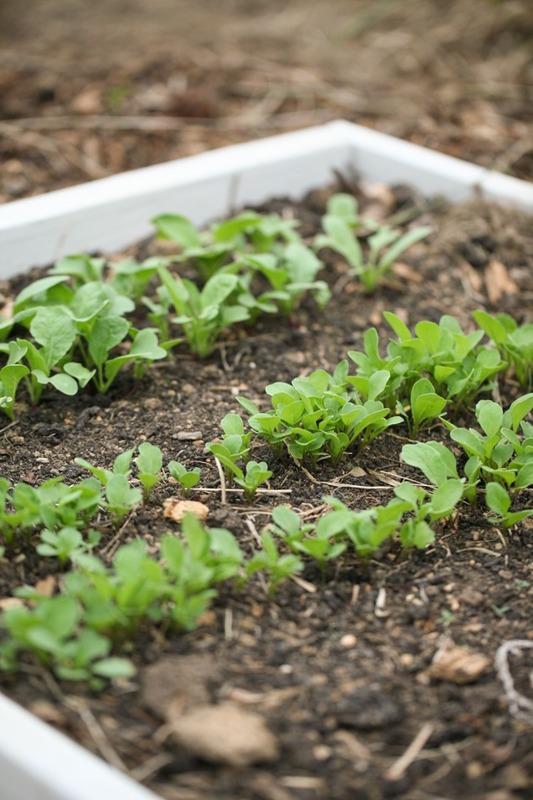 If you garden in a newer location, where the soil is not yet great, raised beds can help you grow better vegetables faster. You can fill them with great garden soil and lots of compost so you don’t have to wait a couple of years for your soil to improve. 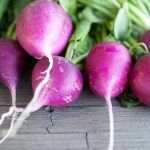 Root crops like carrots and beets love the deep, loose soil. It’s easy for them to grow in it. 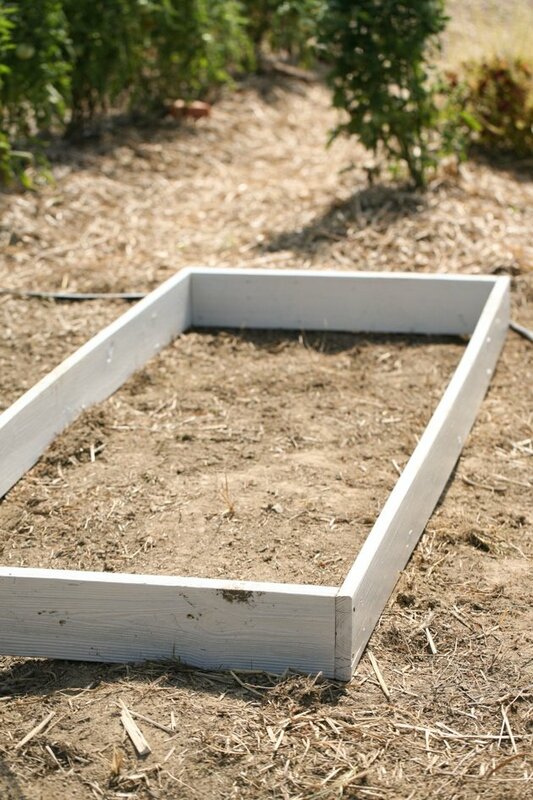 Raised beds also allow for better drainage, so if you live in a wet climate or you have drainage problems because your soil has too much clay in it, raised beds might be a great solution. 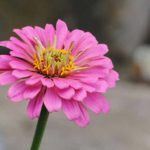 On the other hand, if you live in a place like Florida, for example, and your soil is too sandy, raised beds might also be a great option for you because you can fill them with better garden soil that will hold water better. 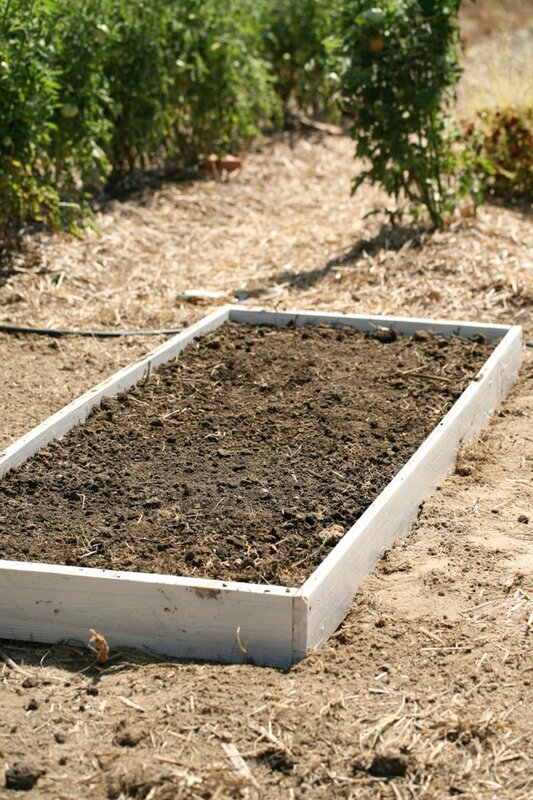 Raised garden beds will also prevent soil erosion since the soil is contained within the walls of the bed. You can trust that most of it will stay there during heavy rainfall. 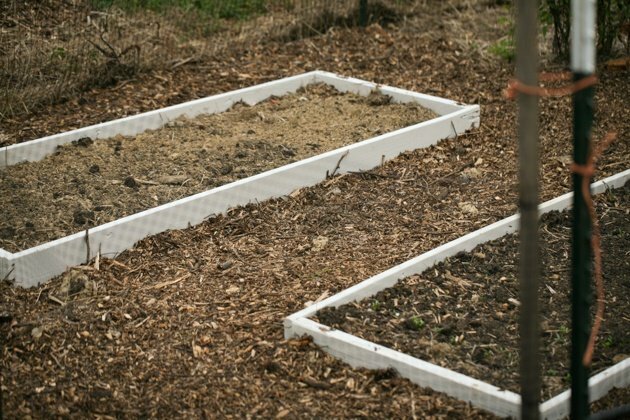 If you have some sort of a mobility problem, raised beds can be a good solution for you. You can build them high enough so that you don’t have to be on your hands and knees in order to grow your own food. I also find that it’s easier to grow some crops in raised beds instead of rows. 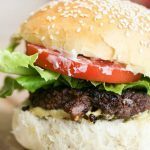 For example, herbs or loose leaf lettuce or arugula and spinach and radishes. 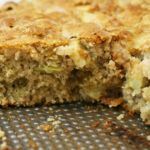 If you grow perennials like asparagus or rhubarb, having them in a raised beds will prevent you from accidentally running over them with a tiller if you use one in your garden. So you can see that there are many benefits to raised garden beds and you can find even more. Once I decided to go with a couple of raised beds for the small space at the front of my garden I knew that I wasn’t going to spend too much time on this. The budget for this project was $0 so I also knew that I was going to have to use what I already had on hand. But first, I had to clean up the area. The soil there was so hard that it was more difficult than it should have been. If you are cleaning an area for a garden, do yourself a favor and wait for it to rain really good. 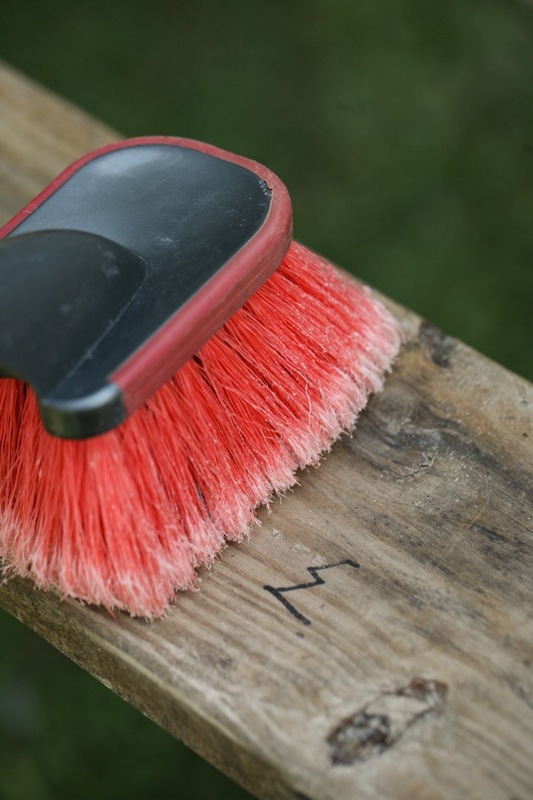 After a rainy day, the soil is softer and it’s easier to pull weeds. You can also decide to place cardboard or a piece of black plastic, or an old carpet, or scrap plywood on the weeds to kill them. I just went ahead and pulled them by hand. Once I had the space clean I went looking for some wood. 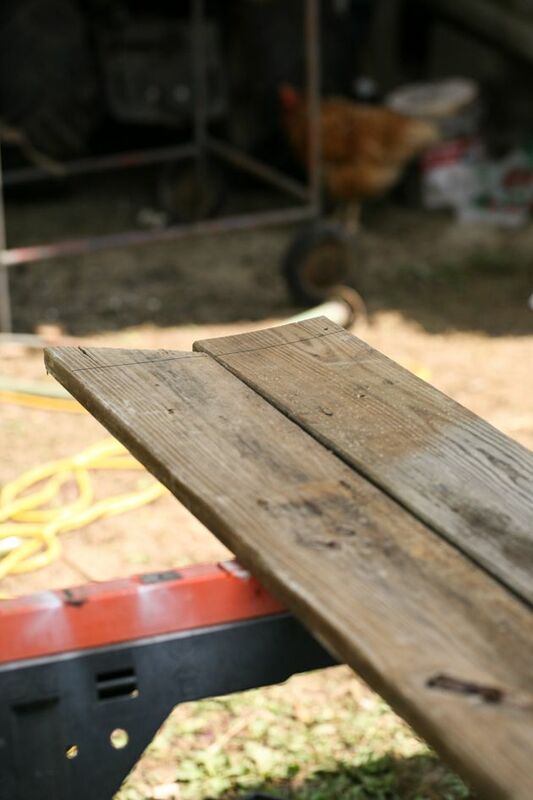 You can build raised garden beds from rocks, logs, cinder blocks, metal sheets, lumber, and whatever else you can think of. I had a few 1 x 6 pieces of lumber on hand so I went with lumber. And the kids painted it. 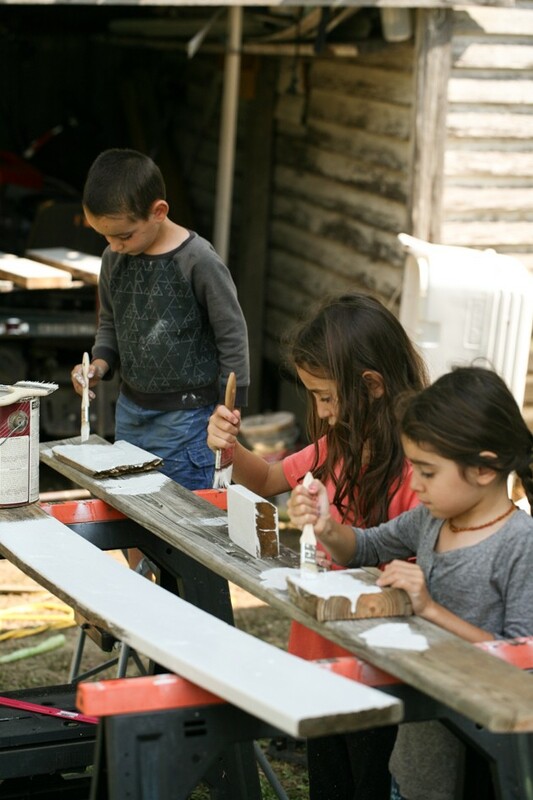 It isn’t the greatest lumber in the world and my hope was that it would last a few seasons so I found some outdoor wood paint in the shed and decided we should paint the boards. The paint will protect the wood from water and pests and hopefully will help it last a bit longer. The boards were 8′ long. I left some of them this length and some I cut to 3′ pieces for the shorter sides of the rectangle. Then I simply hammered them together to create the rectangle. 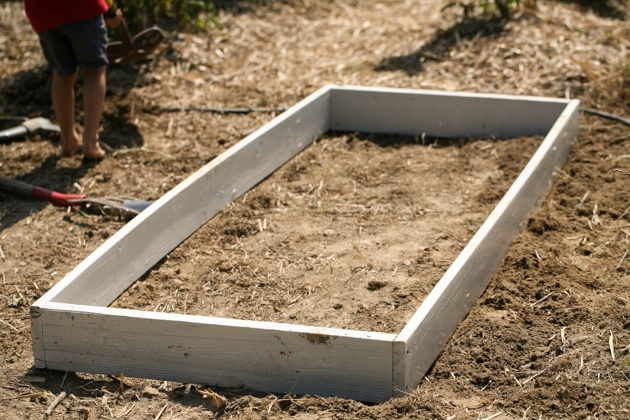 I find that 3′ is a good width for a raised bed because you can reach all the way across it. It allows for easy access to everything you plant in there. The ground wasn’t leveled so I had to dig here and there a bit so I could place the bed in a way that there weren’t parts of it in the air. If the boards aren’t making contact with the soil then the soil can erode or wash away where there are open spaces. Finally, I had it placed just right. My neighbor raises cows and allows me to take all the cow manure I want, so instead of purchasing garden soil I filled the bed with cow poop. I can assure you that my plants are not going to complain! 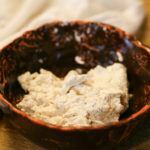 If you purchase garden soil, make sure to check what you are buying BEFORE you buy it. I once had a truckload of “garden soil” delivered and what I got was more like a pile of dead dust. If you buy it by the truckload, go and check the soil before you order. 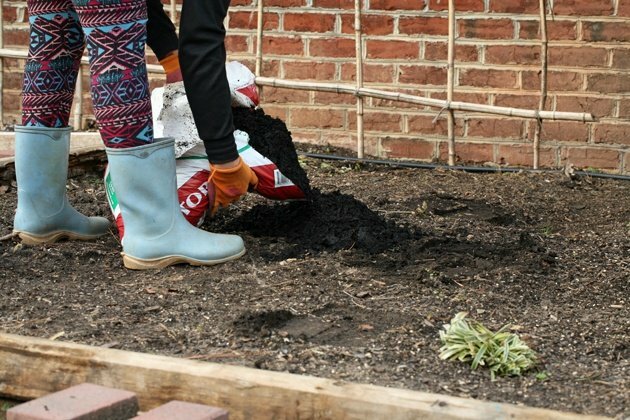 If you buy bags from the store, take into consideration that some garden soil has little slow-release chemical fertilizer mixed in it, so if growing organic is what you are trying to do you probably don’t want that. Whatever soil you are getting, make sure you mix lots of compost in it, the more the better. I have another neighbor who cuts trees for a living. They make wood chips from all the smaller limbs that fall from the trees they cut and he dumps those chips on our farm (you can see more of that in this video). I used those chips to spread around the bed. 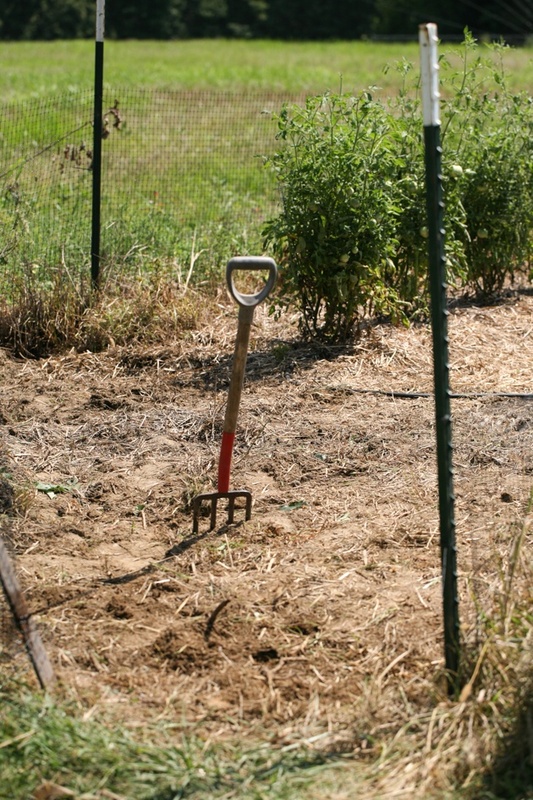 One thing you have to consider with raised beds is that weeds grow close to the walls of the beds and it can get hard to mow them. Placing mulch all around the beds is a good idea if you want to keep things clean and tidy. I made two of those beds. The construction only took me a little bit of time, the majority of the time was setting them in the garden and filling them with soil. I planted some greens in them and also herbs like cilantro and parsley. Every gardener has their own way of doing and growing things, I much prefer growing things in rows or in raised rows, but I do recognize that raised beds have many benefits and I think that I’ll probably always have a combination of beds and rows. I was thinking about using one of those beds to grow carrots this year. Last year something ate my carrots right after they germinated. They were young seedlings there one day and the next they were gone. I was thinking about planting a whole bed with carrots and thin them as they grow. I can maybe build some kind of structure for netting or greenhouse plastic or agriculture fabric to protect the seedlings. 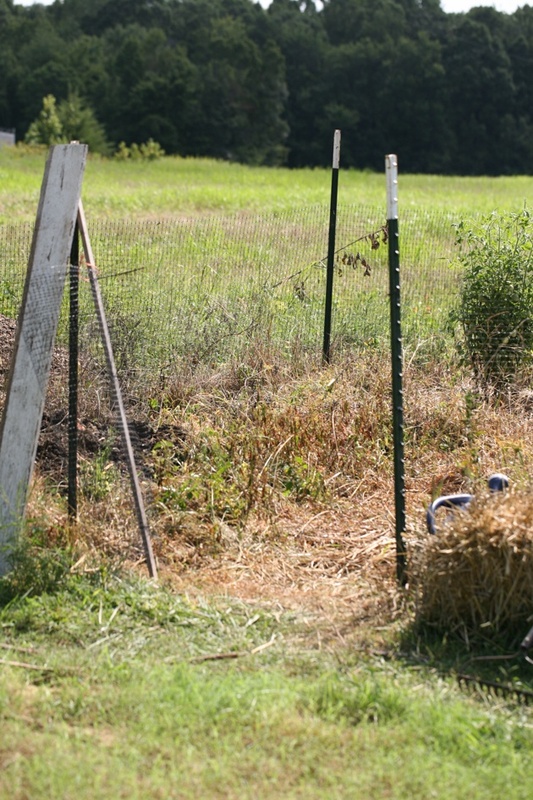 This is another benefit of raised beds… In many cases, you can use the frame to build a structure to protect your crops from pests or from the elements. What do you prefer? 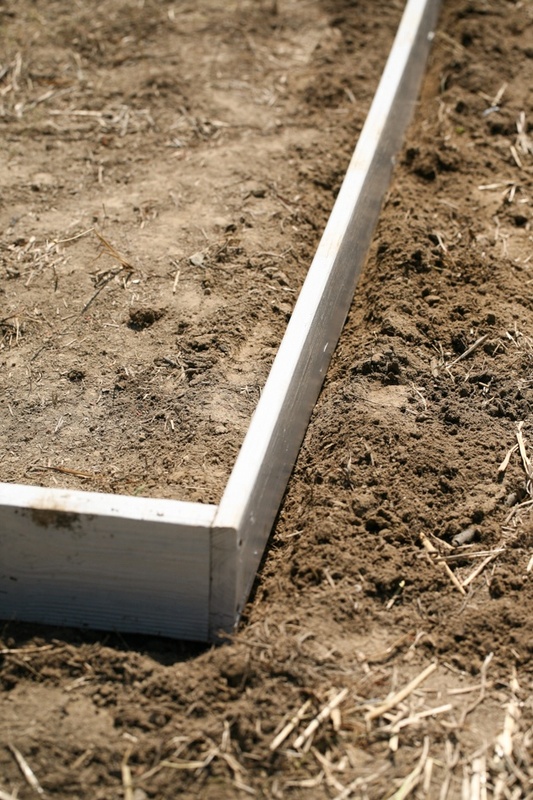 Raised beds or gardening straight in the ground? What about the weeds that grow back up from where you put the bed frame down? Do you put something down before loading it with garden soil? I don’t. I place it right on the ground and weed it like I would weed a row of vegetables. As long as you get the weeds pulled when they are young and don’t let them go to seed you’ll see the weed pressure goes down pretty quickly. You can always use straw mulch too on the bed if you like. What type of wood do you use? I heard pressure treated is not good for the vegetables because of the chemicals. Honestly, I don’t worry about it. I used scrap wood I had here, I can’t remember if it was treated or not but I painted it anyway and the paint has a bunch of chemicals in it. If you are concern about that you can use something like cedar that you don’t need to pain and that doesn’t rot. Thanks! Since I’ve done those I’ve also built one from pallet wood. That was fun too! I used to not like garden beds but lately, I find that they make it easier to keep things organized. “Kitchen Gardens” are a lot of fun, I consider my whole garden to be one. Closer to the entry from my lower level patio area I have incorporated more flora (flowers & herbs) to scent my home and provide a more visual meditative feeling. Also, Wes can’t navigate very well and it keeps him closely surrounded in nature. Sometimes before going to bed he’ll sit out there quietly and just soak it all in. Yes! In the past year I learned that there is a big difference in the kind of garden you choose to grow. The market garden is VERY different than the kitchen garden even though they are both for vegetables. I would really love to incorporate more flowers in my garden too. I have a lot to learn there, I really know very little about flowers. I love your sense of humor! !